The Converse Blog: The Converse Blog: Converse Athletic Footwear! This will be the last post while I am in Orlando. I hope you've injoy what I've posted this week. I know that it didn't have much content, but sometimes less is more. 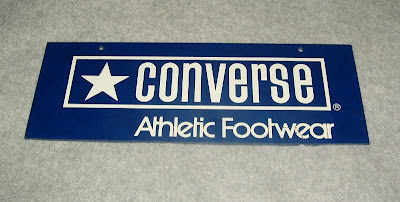 Kind of like today's post, it's an old Converse sign that simply reads Converse Althletic Footwear. The heart of this awaking beast is Athletic footwear. Where ever competition was, Converse was there too.